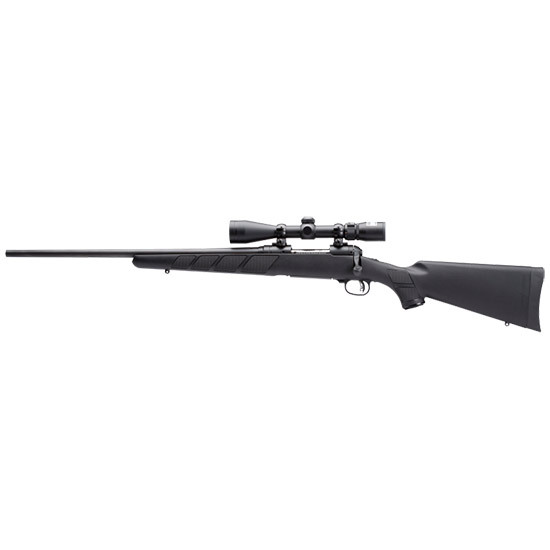 Savage 19699 11|111 Trophy Hunter XP LH Bolt 260 Remington 22 4+1 Synthetic Black Stk Black w|Scope in. This Savage 11111 Trophy Hunter XP bolt action rifle features the useradjustable AccuTrigger silky smooth bolt operation and a button rifled carbon steel barrel. It has a rugged synthetic black stock and a detachable box magazine. The XP features a mounted and boresighted Nikon 39x40 BDC reticle scope.This model is configured for lefthanded shooters.